Vicara is a Sanskrit word that means “an ability to Judge or sustained thinking” which is a key element in meditation or dhayan in Hindu traditions. 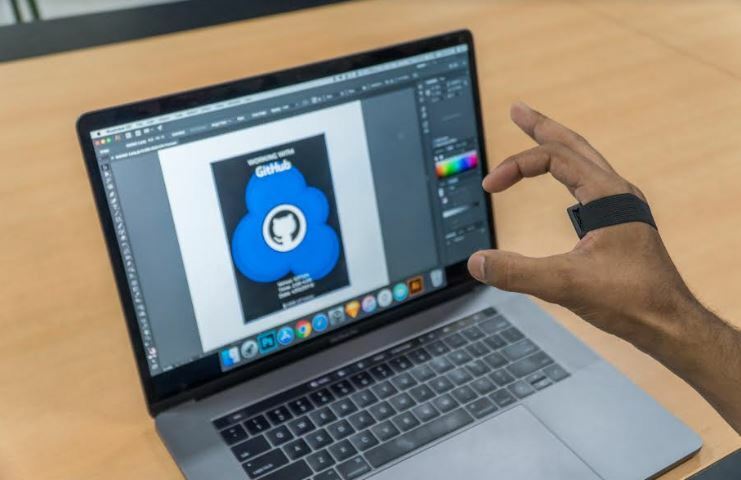 The Kai is a gesture-based wearable interaction device that can track your hand’s movement and translates them into digital signals to control the software. 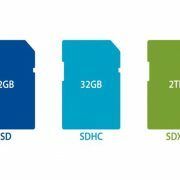 Let’s know a bit more about the KAI which is the company’s first full-fledged commercial working gestures based device. Kai out of the box comes with the Vicara’s intelligent learning algorithm that can learn and program itself on the basis of your unique style and behavior. It is designed and shaped in such a way that it can easily become a part your hand without any distraction so that you keep focus on your goals. 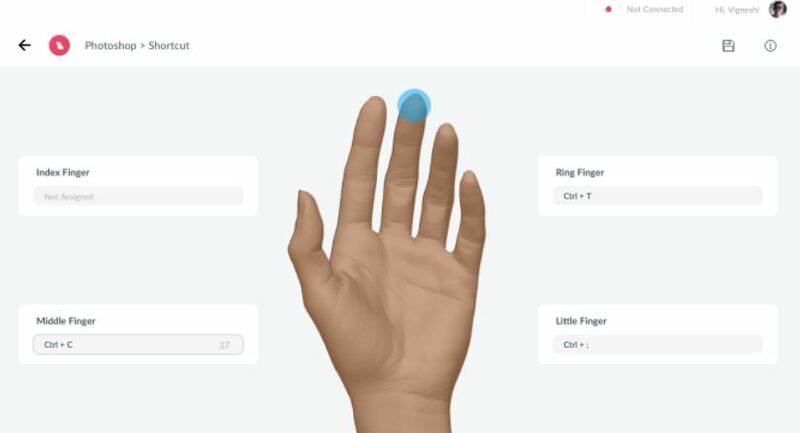 The gestures are the common behavior of a human being, moreover, most of the people use so many common gestures; and KAI embraces these natural body languages to boost the productivity in CAD, gaming and AR world. It also comes with a software program called Kai Control Center which helps to control and customize the KAI. Using KAI control Center you can configure the gesture controls for Photoshop such as what will be the Left swipe of your hand/finger perform? In this screenshot, it shows which finger will work for what type of shortcut in Photoshop. The mission of the Vicara is to create wearable technology that can take the Augmented reality to next and makes human to work in a more superior way in a real and digital world than before. We also had an interaction with Vicara’s co-founders: Mr. Abhishek Satish and Mr. Adarsh Warrier to know more about this innovative tech start-up of India and their journey along the disruptive technology they have. How did you got the idea of KAI and please let us know about your journey? The journey started at Intel’s hackathon held in Pune in August 2015. 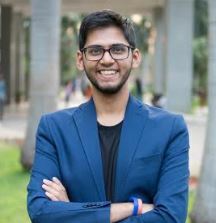 The co-founders of Vicara, Abhishek Satish, and Adarsh Warrier, were in their 3rd year of engineering from VIT University at the time and were both huge fans of futuristic technology and superhero gadgets. They wondered, “Wouldn’t it be cool if it was possible to control all kinds of technology like lights, robots, computers, etc with a glove on your hand.” And so they set about building the very first prototype of the Kai on a kitchen glove. It could control lights and make presentations on a computer a lot cooler. The results were declared, but they did not win. The winner had created a product that could control lights, while the Kai had the potential to control so much more. As they later realized, not having PAN cards had deemed them ineligible for the prize. 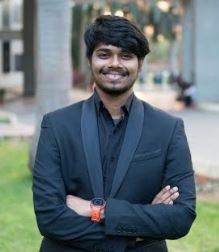 This spurred the co-founders on to create Vicara, a human augmentation startup working to make disruptive wearable technology that can enhance and augment the capability of humans to work with their real and digital surroundings. The co-founders then got an opportunity to pitch their product at VIT’s first-ever business plan competition called StartupVIT. They were adjudged runner-ups and won a prize of Rs. 30,000. Instead of spending it away, they decided to keep improving the product with it until the money runs out. Fortunately, many prizes and grants later, they have managed to raise over Rs. 20.3 lakh to keep the company alive. Many iterations later, the Kai has been refined and has become sleeker. It is a device that sits on your palm and can recognize your hand gestures to interact with the digital world intuitively. 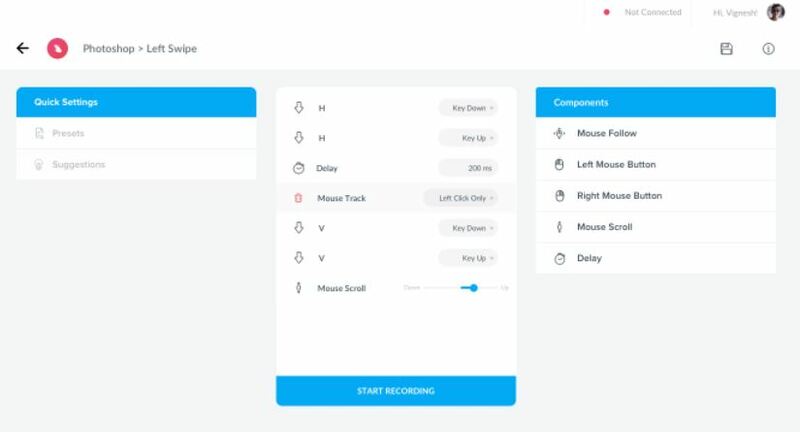 The device drastically enhances productivity by creating a truly revolutionary gesture-based computer interaction experience. How do you see Augmented Reality and its role in your product? Since the turn of the decade, there has been a gradual change in the outlook of consumers towards adopting future forward technologies in India. With the current encouragement of the government towards ‘making’ in India, the situation is ripe to develop innovative technologies in the hardware domain. With the rise of new varieties of digital interaction ranging from AR/VR glasses to smart interfaces, there is a pressing need to cater to the digital age consumer which gives our company the potential of massive scalability. As per MarketsandMarkets, the combined value of the robotics, augmentation and AR/VR market is projected to be a 161 billion dollar industry, which is more than the current value of the Indian IT industry. We aspire to ride this new wave of innovation with our augmentation technologies. The product is essentially a sensor-based wearable that uses a 9 axis IMU (Invensense) and invisible light sensors to sense the movement of your hand and fingers. The data is relayed via a Bluetooth module to our proprietary desktop app. At Vicara, we strongly believe that AR and VR will take over as the digital environments of tomorrow. With the evolution of digital environments, the tools to interact with these environments must evolve as well. And that’s precisely where we come in. Or product, the KAI, is a gesture-based wearable controller that utilizes the power of natural language to interact intuitively with the environments of tomorrow. What are the trends you are seeing in 2018? While all the talk over the last few years has been dominated by VR technologies with headsets offered by Oculus and HTC, we think AR is on the brink of exploding. At CES this year, we saw the potential of AR with companies such as WayRay showing off their Navion AR heads-up display for its in-car solutions. Other big companies such as Apple, Microsoft, Google, and Facebook are expected to push their AR glasses very soon. With so much untapped potential and VR development experiencing a slowdown, these are exciting times for the technology. There is still a gap in the market for AR applications that will redefine human-computer interaction. This, combined with the ripe times for AR might just make Vicara’s AR solution a game changer. The Kai has endless capabilities for every type of user, be it a designer, gamer or a tech enthusiast. The product will bring the future closer. You will soon be able to take a walk and point to your favorite restaurant and get information about it. You will be able to control drones with intuitive gestures: raising your hands to make the drone lift-off. The possibilities are endless. How does user-friendliness of the solutions play a role in the success of a product? Interaction with digital devices has been restricted to a keyboard and mouse for over 60 years now. With the rise of AR/VR, people need a more intuitive and efficient way to interact with all their devices. This is where the Kai steps in. The Kai has many use cases. An example would be modeling 3D machines on CAD. 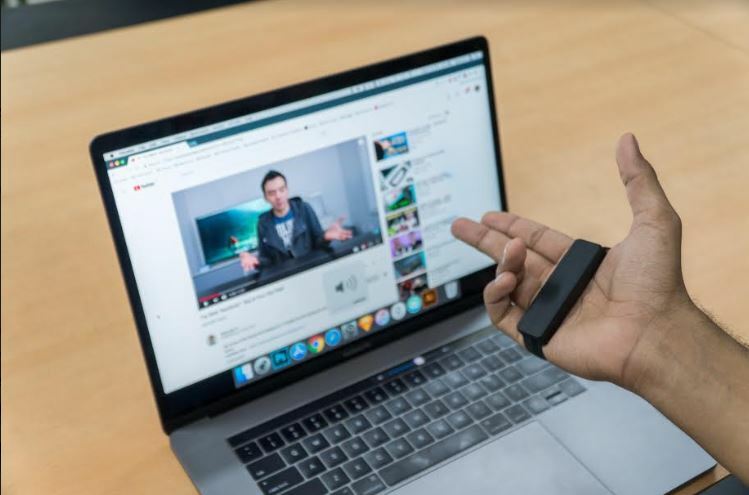 While at present developers are restricted to using the mouse to see their creations, with the Kai in their hand, it will be as if they were actually holding the model in their hand. 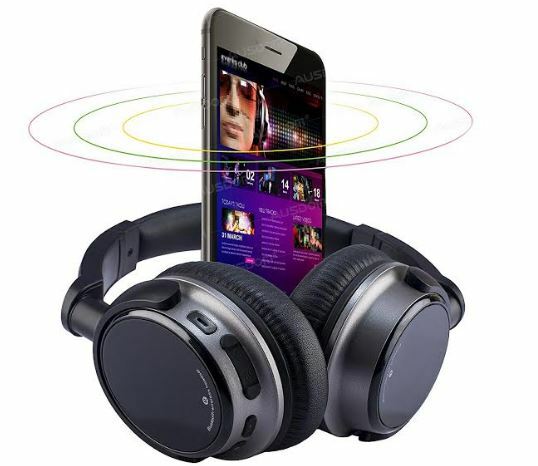 Since the product uses Bluetooth, it can be used for even more applications in the future. There are plans to eventually release a central hub that can automate your home and will be controlled by the KAI, making the KAI your one-stop solution for all kinds of interaction with electronic devices. Who are your main competitors? And how do you compete them? Essentially all sorts of devices offering gesture control are our competitors. One of the most well-known startups in this space has been Leap Motion. In addition, other handhelds such as Microsoft’s Kinect for Xbox 360 gaming console and Myo’s gesture-controlled armbands also offer ways to interact with their respective devices. We believe that technology should aid humans, not be a hindrance for them. The minimalistic design of the Kai allows people to wear it and forget it, something that the bulky handhelds of our competitors cannot match. It can be worn for hours on end and not provide any fatigue. 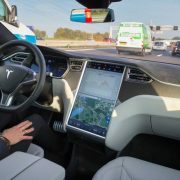 In addition, while most of the products mentioned above are specifically meant for one field, the Kai can be used for a variety of applications in design, gaming, controlling robots and home automation. What is your branding strategy? We plan to crowdfund the product on Indiegogo very soon. At the moment we are in the process of trying to create a buzz around the product. As we identify ourselves as a human augmentation company, we endeavor to research and develop more products which augment the capability of humans, like AR Visors, bio-prosthetics, enhanced intelligent wearables and in the long-term, exoskeletons. What are the distribution models that KAI follows? The startup will initially generate money from the asset sales of its product, the KAI. As the KAI is a digital interaction tool, we will also develop an accompanying software application that enhances the digital experience. Customized B2B solutions for CAD, gaming and VR industry will earn on bulk orders for personalized optimization. How can AI and chatbot trends help in the wearables? Artificial Intelligence will be instrumental in increasing the adaptability of our wearable. 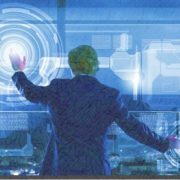 With continuous use of our product, implementation of AI Algorithms will assist in improving the experience of using the product, as it will continuously learn from the user’s actions, and will eventually even be able to learn the user’s behaviour of usage to suggest profiles specially customized to the user’s characteristic usage of the PC.